While many consumers have used voice commands, they are not necessarily becoming part of people’s daily routines. Voice commands also are being used in multiple locations, including at home, in a car or just walking around, based on a new study. Consumers use voice commands since it’s faster to speak than type (65%) and it allows them to interact hands-free (65%). The survey comprised 1,000 consumers, 93% of whom own a smartphone, 98% go online daily and 70% have used voice commands at least once. It was conducted by Social Lens Research across the MocoSpace community, which is considered to be more mobile-dominant and internet-connected than the general population. While most (70%) have used voice commands at any time, only a third (33%) of them use them almost daily and 15% use them occasionally. There are a few barriers to more widespread use of voice commands, including user concern over privacy (55%), reported problems with usability or accuracy (36%) and not being sure how to use them on certain devices (16%). As might be expected, smartphones are the dominant device for using voice commands, especially since so many people have them compared to other smart devices. 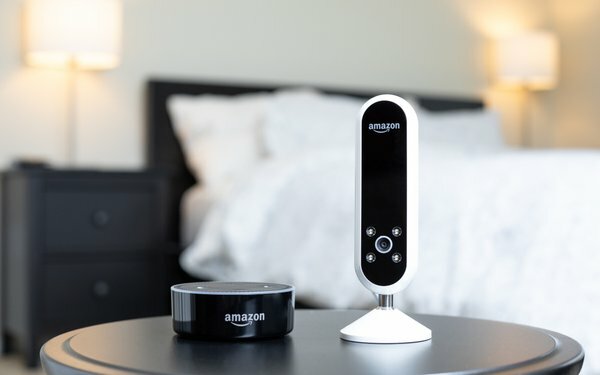 However, consumers are using voice through other devices, including smartwatches, smart TVs and most notably, smart speakers, such as Amazon Echo and Google Home. The leading location for using commands more than once a day is in the home (53%), followed by in a car (42%), walking around (34%), at work (30%) and in a store or mall (22%). As a positive boost for smart speakers, they lead all other devices for accuracy in voice commands. Amazon’s Alexa and Google’s Assistant should be proud.